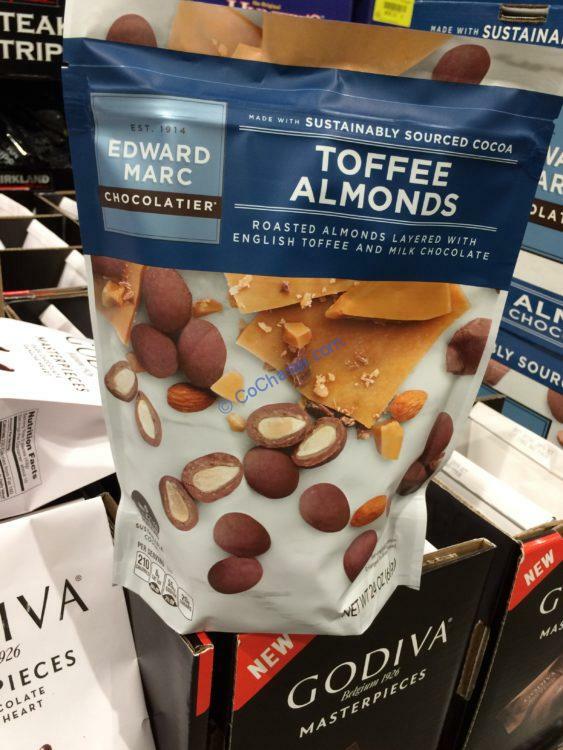 These Edward MARC Toffee Almonds are made with sustainably sourced cocoa; Roasted almonds layered with English toffee and milk chocolate. They contain no artificial flavors, no preservatives. Per serving size 1.4 oz (40g), contains 210 calories, 120g from fat. For each serving, you get 13g total fat, 6g from Saturated fat, 2g protein, 1g fiber and 20g sugars.